Art 26/Sara Post Studio, 231 G Street, #26, upstairs at The Courtyard in Davis, California. opened in December 2015. 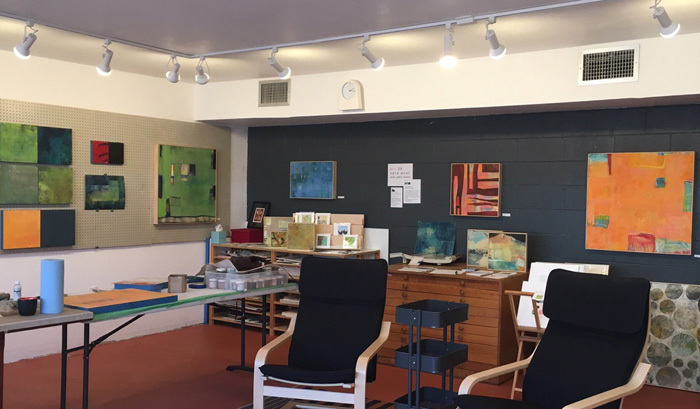 This multipurpose art space in downtown Davis houses Sara Post's painting studio, a classroom accommodating 6-12 students for workshops and classes, and a small gallery (Art 26) dedicated to the exhibition of abstract art. The gallery is open monthly for Davis's second Friday ArtAbout. Guest artists give a talk at 6pm followed by a reception from 6:30-8:30. Visitors may also see a rotating exhibit of Sara's paintings and drawings. Open most weekends 1-5pm or by appointment.